SIDESHOW release, we will match* this price, GUARANTEED! *Australian Online Stores Only. Does Not include eBay Retailers. - Iconic 1989 Batman Suit Emblem, cast in hard resin and is a replica of the emblem featured on Batman's chest plate as worn by Michael Keaton in the blockbuster film. 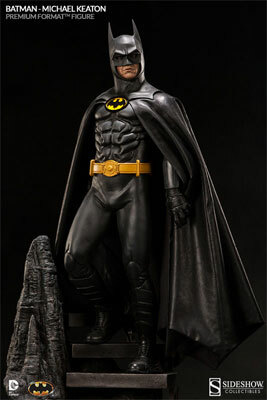 - Personally hand-signed by the Caped Crusader himself, during his exclusive autograph signing with Celebrity Authentics. 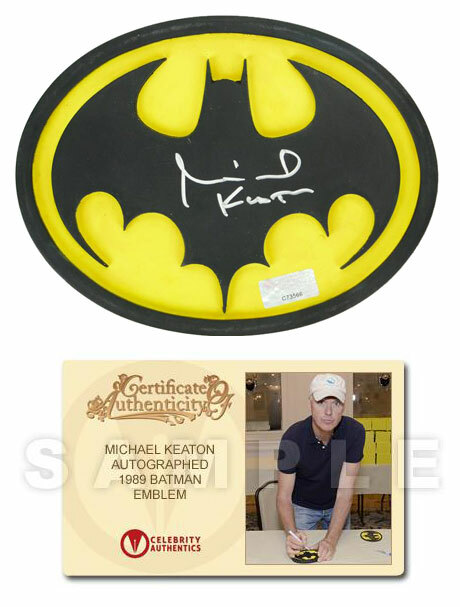 - Emblem is approximately 140mm wide, 115mm tall and 10mm thick and ships affixed with a Celebrity Authentics serial-numbered authentication hologram and includes a Celebrity Authentics Certificate of Authenticity which features a photo of Michael Keaton signing the emblem.